Everyone wants to welcome the New Year in style. But the celebrations and events have become so monotonous over time. If you are looking for something new, exciting and pronounced, a New Years cruise on Corroboree is what you are yearning for. The luxurious yacht will make your New Years cruise event more memorable. The 110 foot luxury motor yacht has a simple but very elegant design, both outside and inside. Step into the main yacht and you will be mesmerised. It is not only spacious but also incorporates unique décor to enhance a classy and sophisticated feel. To many who have had their cruise New Years Eve on board the Corroboree, the most impressive feature of the main saloon is its large windows. The large windows allow guests to enjoy the sights of the city and the Sydney Harbour without much hustle. 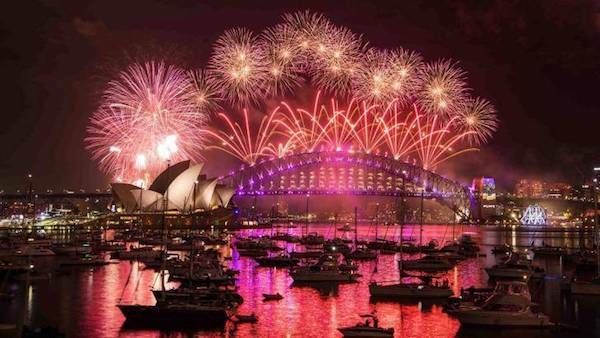 From the comfort of the main saloon, you and your guests will be able to avoid the push and pull of people straining to see the famous Sydney Fireworks. Both the Sydney Harbour and the sky line are easily visible from the main saloon. Another favourite spot if you want to enjoy your New Years cruise is the fly bridge. 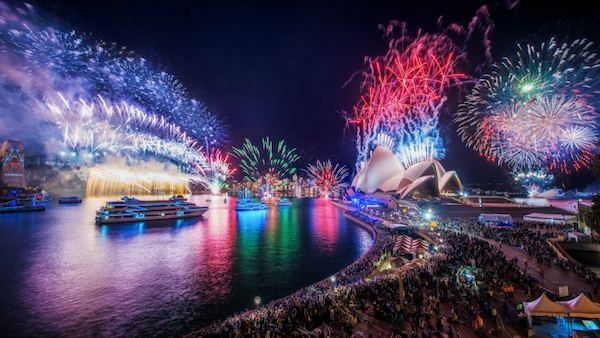 Located at the top deck, it is at a strategic position that allows guests to comfortably watch the fireworks and also witness some of the other activities done on the Sydney Harbour. For guests who want a more intimate welcome into the New Year, there are two kayaks that will be provided to venture a bit further into the Australian waters. Just make sure not to go so far out that you miss out on the fireworks! Like many New Years Eve cruises, Corroboree has highly skilled staff ready and willing to raise your holiday cheer even more and ensure that you usher in the New Year in style. From the interior décor to the first class treatment from the staff, you will be able to enjoy your New Years cruise in the best way possible. The yacht can take up to 50 guests at a go. Our New Years Eve cruise package is not only competitive, but it is worth it. With AUD $88,000, you will be able to enjoy this luxurious 7 hour charter with the all-inclusive package. There is, however, no BYO option in the package. Despite this, both food and drinks are included in the New Year’s package.